0161 9730952 Get In Touch! 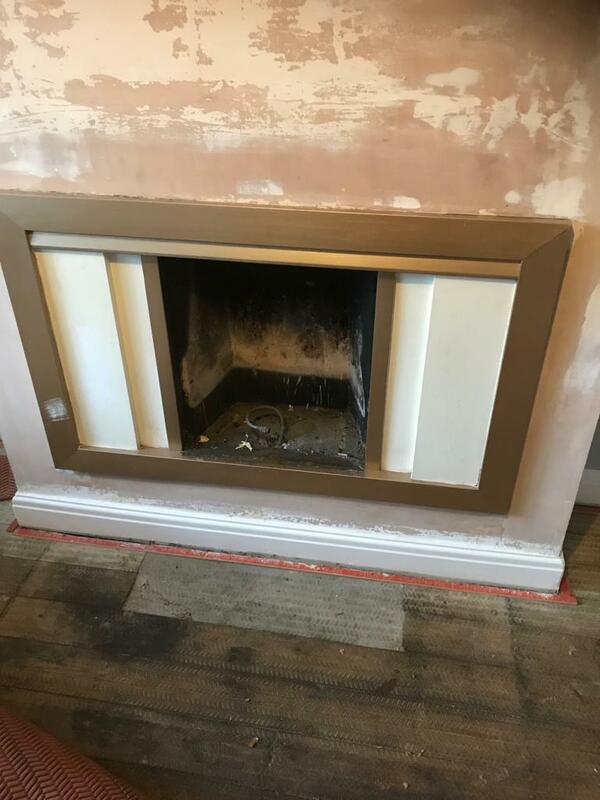 We removed the original gas fire, cut and capped the supply. 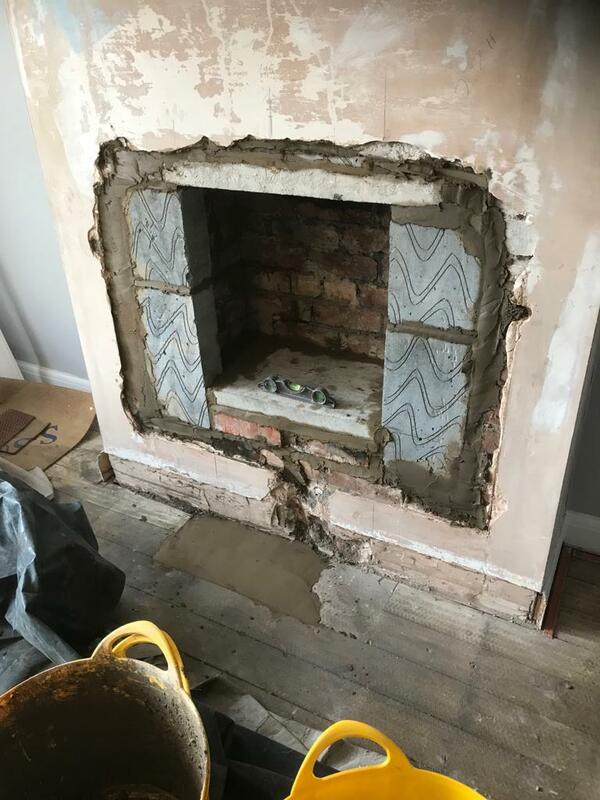 We altered the opening to suit the new inset stove. A multi-fuel liner was installed. 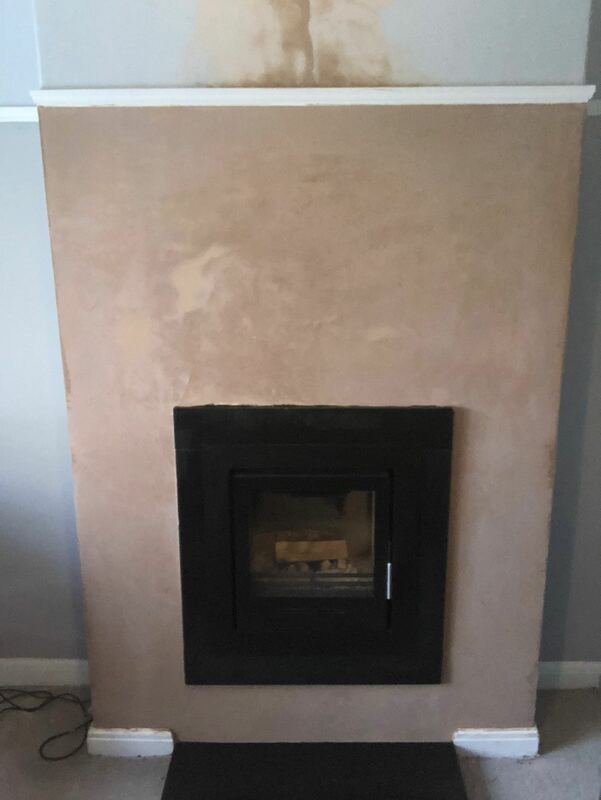 Our customer chose granite for the hearth and we did matching slips around the inset. 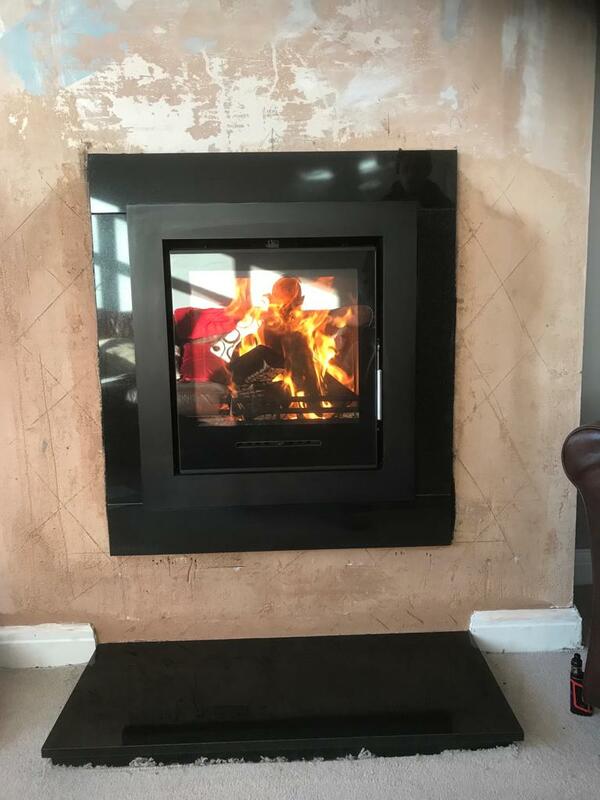 A Fireline FGi5 w multi-fuel inset stove was installed. 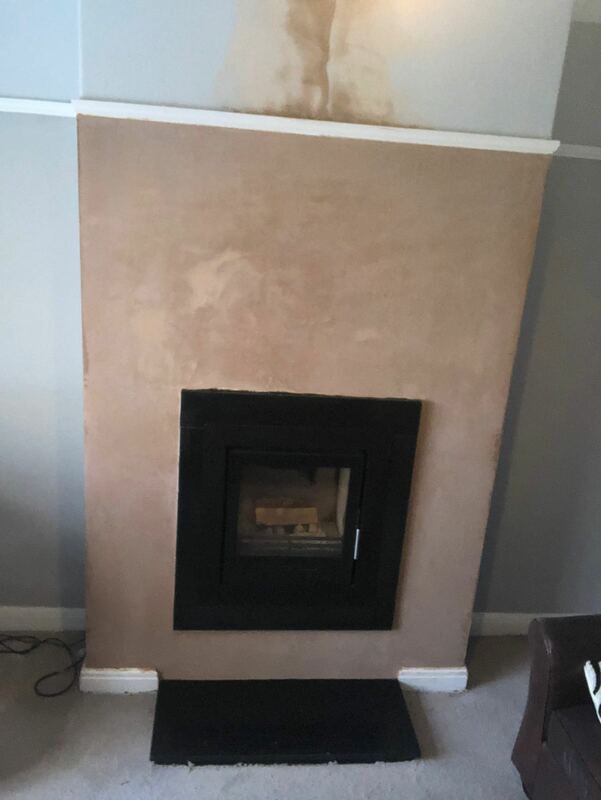 Our plasterer followed after us and skimmed the whole chimney breast, ready for decorating! Super sleek and nice and modern.